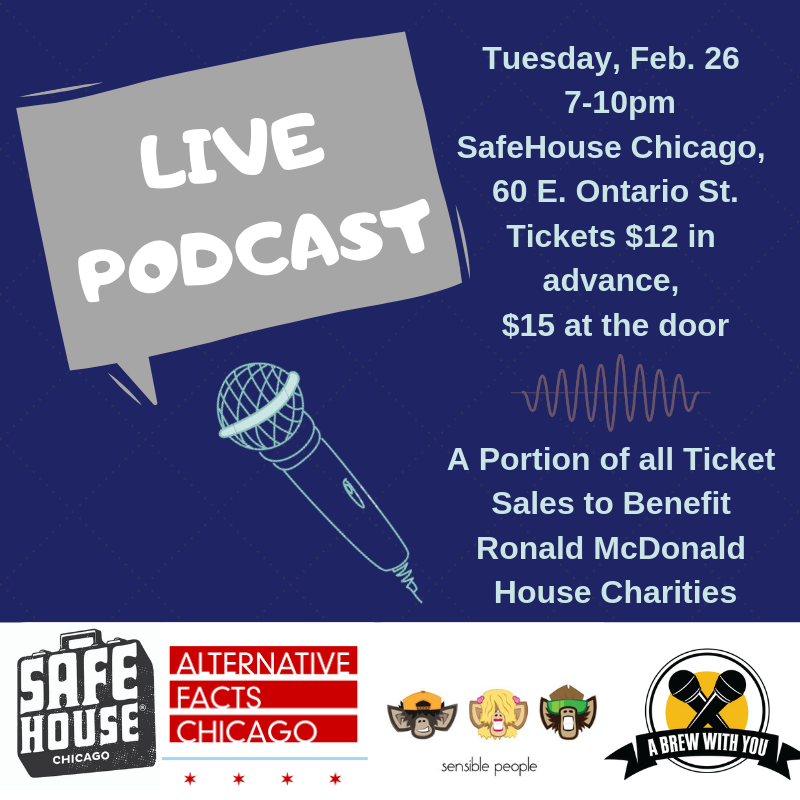 On February 26th, experience a live podcast show at the SafeHouse, featuring Chicago's top performing podcasts, Alternative Facts Chicago, Sensible People, and A Brew With you! The show begins at 7 pm and goes until 10 pm. Guests who purchase tickets will be offered exclusive food and drink specials and can meet their favorite podcast hosts. 15% of all ticket sales will be donated to the Ronald McDonald House! Alternative Facts Chicago - Chicago’s #1 podcast focusing on everything Chicago, Music, Sports, Entertainment, Reality TV, and Politics. Sensible People - 2018 Discover Pods People's Choice Award Nominee. Sensible People brings you your bi-weekly dose of outrageous observational comedy and life advice. A Brew With You - A Brew With You is a weekly podcast where Blake and Jeff try a new beer while discussing random topics.